Athens, Ga. – The University of Georgia College of Veterinary Medicine’s annual open house will be held April 3 from 9 a.m. to 4 p.m. Exotic animal displays, horseback-riding demonstrations, a parade of dog breeds and limited tours of the new UGA Veterinary Teaching Hospital are a few of the activities that will be featured at the event. Presented by UGA’s veterinary students, the event will focus on veterinary medicine as a rewarding career field and will demonstrate the opportunities available to veterinary medicine graduates, such as maintaining a healthy food supply as well as researching and controlling infectious diseases. 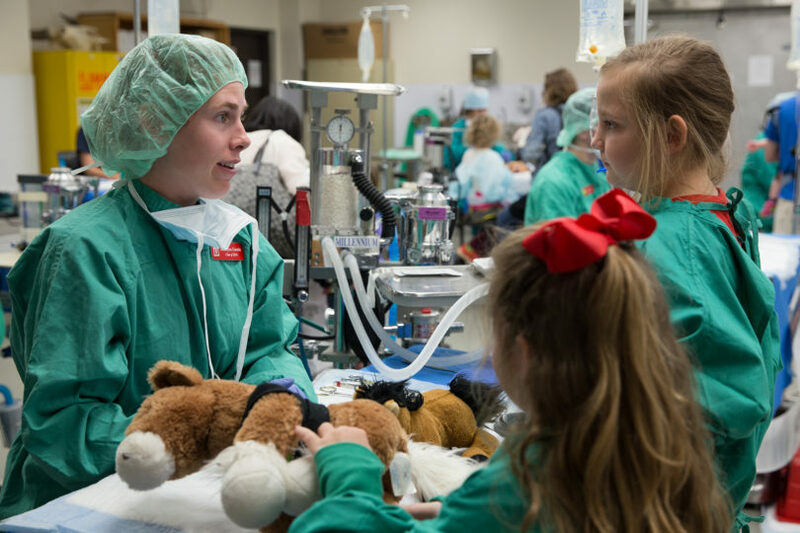 For the younger crowd, there is teddy bear surgery, where children may assist as veterinary students repair their favorite stuffed playmates. Other tentatively scheduled activities include reading to dogs, milking demonstrations, police dog demonstrations, question and answer sessions with current veterinary students, a photo booth, face painting, games and scientific exhibits showcasing different types of animals. Veterinary students will sell lunch items, baked goods, refreshments and merchandise. On-site registration is required for tours of the new UGA Veterinary Teaching Hospital, which opens March 25 and will serve both small and large animals. The tours will be filled on a first-come, first-served basis and are limited to ages 16 and older. Tour groups consisting of approximately 15 people will be shuttled to the new facility for a guided tour. Sign-up for the tours will be located in the breezeway of the old large animal teaching hospital on the main College of Veterinary Medicine campus. Admission is free and open to the public. Parking will be available at the softball complex on Milledge Avenue with shuttles running to the college throughout the day. For assistance with sign language interpretation or handicap accessibility, contact ugaopenhouse2015@gmail.com or corbrown@uga.edu. The College of Veterinary Medicine’s open house has been held annually for more than 30 years and is hosted by the first-year veterinary students with help from the second-year class. Additional information, including a parking map and directions to the college, is available online at www.vet.uga.edu/openhouse.